Join us as we say 'goodbye' to 2018 and welcome in 2019! Our New Years Eve Celebration Gala is one of our premier events! Tickets are just $99 per person and can be purchased by calling 440.526.9696! Individual Tickets and Tables of 8 are available! Looking for that perfect holiday gift? We’ve got you covered! Our local crafters are sure to have what you are looking for! The craft fair will take place in our lower level gymnasium – when you arrive, drive to the back of our facility and enter through the rear gym entrance. Admission is FREE and food and drinks will be on sale! Advanced ultrasound technology looks inside your arteries for signs of plaque buildup. That's why 9 out of 10 cardiovascular doctors support preventive screenings for those with key risk factors. Looking for that perfect gift? We’ve got you covered! Our local crafters are sure to have what you are looking for! The craft fair will take place in our lower level gymnasium – when you arrive, drive to the back of our facility and enter through the rear gym entrance. Admission is FREE and food and drinks will be on sale! Join us on Saturday, February 3 for our 2nd Annual All Things Bridal Resale event! 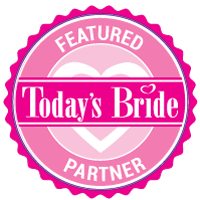 Shop for your upcoming wedding or sell items from your special day. If your wedding decorations are just taking up space and collecting dust, consider selling them to a bride and groom in need! Come shop for your wedding or get decoration ideas from what others are selling! Woodside is proud to be hosting a Large Multi-Family Garage Sale in our Gymansium on Thursday, June 22 & Friday, June 23. Collectibles, antiques, children's toys, clothing and much more will be available for sale! Refreshments will be sold the days of the event! We are looking for vendors for the garage sale - tables start at $15 for the first table and $10 for each additional. Contact Mary Jane or Kathy at 440.526.9696 to reserve your space today! Come Get Your Bubble On! Join us on Saturday, January 14 from 6pm - 8pm for an Open Bubble Night with NEO Bubble Soccer! Concessions will be available and LIMITED TICKETS are being sold - so act fast!